Oral drug administration has been the predominant route for drug delivery due to the ease of administration, patient convenience and flexibility in formulations. Mucoadhesive tablets of Cephalexin monohydrate were prepared with an objective to increase the bioavailability by minimizing the first pass metabolism and also to reduce the frequency of administration. Carbopol 934p as a primary polymer and HPMC K15M, HPMC K4M, and HPMC K100M as secondary polymers in different proportions has been used to formulate the desired mucoadhesive formulation with other tablet excipients and lubricants to give good compressibility by dry granulation method. The tablets were characterized by weight variation, hardness, thickness, friability, swelling ability, dissolution profile, assay and mucoadhesive strength. The selected mucoadhesive formulation FC2 exhibited 99.51% of drug release in 24 hrs, the mucoadhesive strength was found to be 95.04 gm so it has enough strength to adhere on the mucosa for an extended period of time. Kinetic study has been studied for the selected formulation it follows zero order release and matches with Higuchi regression. Selected formulation FC2 showed no significant change in the physico chemical parameters after storage at 40OC±2 OC and 75% RH±5% for one month. INTRODUCTION: Gastroretentive systems can remain in the gastric region for several hours and hence can significantly prolong the gastric residence time of drugs. Prolong gastric retention improves bioavailability, reduces drug wastage, and improves solubility for the drugs that are less soluble in the high pH environment of small intestine 1. It has applications also for local drug delivery to the stomach and proximal small intestine. Therefore different approaches have been proposed to retain the dosage form in the stomach. Those approaches include synthesis of high density dosage form, flotation, sedimentation, expansion modified shape systems, comitent administration of drugs or excipients which slows the motility of stomach or small intestine, synthesis of bioadhesive or mucoadhesive dosage forms 2. Proximal small intestine (duodenum), the most effective strategy will be holding the formulation in the stomach 3. Mucoadhesion is the state in which two materials, at least one biological in nature, are held together for an extended period of time by interfacial forces. It is also defined as the ability of a material (synthetic or biological) to adhere to a biological tissue for an extended period of time 4. Cephalexin monohydrate is a semi synthetic antibiotic derived from cephalosporin ‘C’. It is absorbed completely (80—100%) after oral administration and the protein binding of cephalexin is low (6-15%). The volume of distribution is 15 ± 2.3 l. Cephalexin is not metabolized in the body and is excreted unchanged in the urine at least two thirds by active secretion and having a biological half-life of 1 hr. To maintain therapeutic range, the drug should be administered 3—4 times a day, which leads to saw tooth kinetic and resulting in ineffective therapy. It treats most of the bacterial infections like otitis media, tonsils and adenoids, strep throat, laryngitis, acute bronchitis, urinary tract infection, pneumonia, jock itch, diverticulitis, impetigo, folliculitis 5. The main objectives of the present work was to formulate cephalexin monohydrate mucoadhesive tablets by using Carbopol 934p as a primary polymer and HPMC K15M, HPMC K4M, and HPMC K100M as a secondary polymers in different proportions, with other tablet excipients and lubricants to give good compressibility by dry granulation method, which can provide constant effective drug release for 24 hours. Materials: Cephalexin monohydrate were gift sample from Aurabindo pharma pvt ltd, HPMC K4M were gift sample from Loba Chemie PVT Ltd, Mumbai, HPMC K15M were gift sample from Reachem Laboratory chemical PVT Ltd, Chennai, HPMC K100M were gift sample from Loba Chemie PVT Ltd, Mumbai. All other ingredients used were of analytical grade. Method: Matrix type mucoadhesive tablets were prepared by dry granulation method. The mucoadhesive tablets were prepared by using Carbopol 934 (CP-934) as primary mucoadhesive polymer because of its excellent mucoadhesive properties. HPMC K4M, HPMC K15M and HPMC K100M were used as secondary polymers. The effect of secondary polymer loading on drug release was studied. Carbopol 934p and secondary polymers in different concentrations were incorporated in different mucoadhesive tablets. The composition of different formulations is represented in table 1. Procedure: The components of each formulation sufficient for 100 tablets were calculated and weighed except the lubricant, mixed and passed through the mesh (40m) and triturated well in a glass mortar to ensure homogeneous mixing. Then this mass is compressed with more hardness with 12.5 mm round flat punches (slugging). Then these tablets are crushed and passed through 8 mm screen to form the granules, which is suitable for compression. The lubricants were weighed and mixed with the granules and compressed using 12×8 mm length die oblong punches on 16 station tablet compression machine (Cadmach Ahmadabad). Physical characteristics of granules before compression: The flow angle of repose can be determined by fixed funnel method. The bulk density and tapped density were determined by the cylinder method. Compressibility index and hausner ratio was calculated by using following formula 6, 7, 8. Where V0 =initial volume, Vf =tapped volume. Determination of various physicochemical parameters for tablets: The weight variation can be tested by taking twenty tablets were weighed individually and the average weight was determined. The percentage deviation was calculated and checked for weight variation. The thickness of the 10 tablets of each formulation was measured using digital vernier calliper in mm. Hardness can be determined using a Monsanto hardness tester. Pressure required to break the tablet is determined in kg/cm2. Friability can be tested by taking 20 dedusted tablets and the percentage friability was calculated. The assay was carried out taking 20 tablets by liquid chromatographic method as per the specified monograph 9. In-vitro release studies: The release of Cephalexin monohydrate from mucoadhesive tablet was determined by using USP dissolution test apparatus II (paddle type). The whole assembly is kept in a jacketed vessel of water maintained at 37± 10 C. Mucoadhesive tablet is stuck on to the bottom of the flask (so as to allow one sided release from the tablet). The beaker is filled with 900ml of water and maintained at 100 rpm. A sample of 3ml of the solution was withdrawn from the dissolution apparatus at 4 hour time intervals and filtered through Whattmann filter paper no: 42. It is replaced immediately with an equal amount of fresh water. The samples are then analyzed UV spectrophotometrically at 261 nm. Absorbance measured and % drug release was determined 9. Detachment force measurement: This is the method used to measure in-vitro mucoadhesive capacity of different polymers. It is a modified method developed by Martti Marvola to assess the tendency of mucoadhesive materials to adhere to the oesophagus. The assembly of this apparatus consists of two glass slides; one modified physical balance, weights, thread, goat intestine, tyrode solution, distilled water and a beaker to hold the water 11. Method: Immediately after slaughter, the intestines was removed from the goat and transported to laboratory in tyrode solution is (g/litre); (sodium chloride 8 gm; potassium chloride 0.2 gm; calcium chloride 2H2O 0.134 gm; sodium bicarbonate 1.0 gm; sodium dihydrogen phosphate 0.05 gm and glucose H2O 1gm). During this experiment take the intestine in a specified area and place it on one glass slide and tie it. The glass slide with the intestine was affixed on one side floor below the modified physical balance. Already prepared 200 mg plain polymer tablet was pasted in another glass slide and it balanced in the assembled physical balance with a beaker in other side which is used to hold the water. Now the balance was calibrated. Disperse HPMC 1.2 gm & Titanium dioxide 0.200 mg in Isopropyl Alcohol BP 12.1 ml and Methylene Chloride 39.2 ml. Homogenize stage 1 for about 20 minutes. Charge the whole batch into the coating pan. Check the rotating axis of the coating pan (10 to 15 rpm) blow the air at pressure of about 60 PSI. Switch ON the heaters of blower & allow the tablets to rotate. The temperature of the tablet bed should between 350 C to 400 start the coating process by spraying coating solution continuously. Continue the Process till the complete coating solution is consumed. Allow the tablets to cool to room temperature. Sprinkle Talcum BP quantity required on coated tablets & allow rotating tablets in coating pan for about 5 mins and unloading the tablets. Kinetics of Drug Release: The order of rug release can be assessed by graphical treatment of drug release data. A plot of % drug remaining versus time would be linear if the drug release follows zero order (i.e. Concentration independent release). A plot of log of % remaining drug versus time would be linear, if the drug release follows first order (i.e. concentration dependent release). Where, Ct = Concentration remaining at time t, Co = Original concentration, t = Time, K = Release rate. 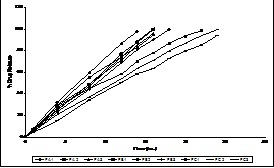 Amount of drug release versus square root of time (Higuchi Plot). [1 – Mt / M] 1/3 versus time (Hoffenberg). Stability Study: Selected formulation FC2 was subjected to determine its shelf life i.e. stability study by using accelerated stability chamber, according to the WHO guidelines. The tablets were stored in the stability chamber under temperature 40oC + 2oC and 75% RH + 5 % Relative humidity for one month. After the specified period the tablets are subjected to physical appearance, hardness, friability, dissolution and assay. RESULTS AND DISCUSSION: Mucoadhesive Cephalexin tablets were prepared to increase the gastric retention of the dosage form so that they can be retained in the stomach for longer period of time and help in controlled release of drug up to 24hr. The mucoadhesive tablets were made using gel forming mucoadhesive such as Carbopol 934p, HPMC K4M, HPMC K15, and HPMC K100M. To achieve the desired release the HPMC polymers (different grades) has been used in different proportions. Due to the changing the concentration of polymers the release rate will vary consequently. The granules ready for compression has been evaluated The prepared mucoadhesive tablets were evaluated thickness, weight variation, friability, hardness, in-vitro dissolution study, assay, swelling study and mucoadhesive strength. Physio chemical characteristics of mucoadhesive tablets & granules: The prepared granules were evaluated and reported in the table 2.The flow property, bulk density and tapped density was found and the results are within the IP specification. The tablets were off-white oblong shaped concave appearance. The results of physiochemical characterisation of prepared tablets are shown table 3. The weight variation of all formulation was found to be within the range of -1.7 to +2.9%. The thickness of mucoadhesive tablets ranged between 8.97 to 9.18 mm. The hardness of the tablets was found in the range of 6.2 to 7.3 kg/cm2. All tablets from all formulation showing satisfactory results as per Indian Pharmacopoeia. Swelling study: Swelling is also a vital factor to ensure the drug dissolution of the matrix tablet. The mucoadhesive tablet composed of polymeric materials build a gel layer around the tablet core when they come in contact with water. Table 4 shows the swelling index of all formulations. The mucoadhesive tablets containing Carbopol 934p and HPMC K15M showed higher swelling index in first two hours but could not maintain their matrix integrity up to 24 hr. The mucoadhesive tablets containing Carbopol 934p and HPMC K4M showed higher swelling index in first two hours but could not maintain their matrix integrity up to 24 hr. The mucoadhesive tablets containing Carbopol 934p and HPMC K100M showed constant increase in the swelling index up to 24hr. The initial swelling index was observed higher in all formulation due to the rapid hydration of HPMC graded polymers. In- vitro release studies: The in-vitro release study of all formulations of mucoadhesive tablets was performed in water for 24 hours, and cumulative drug release was calculated at four hour intervals. The results of in-vitro dissolution studies for all formulations are shown in the figure 1.The first three formulations FA1, FA2, FA3 were formulated by using drug with Carbopol 934p and HPMC K15M. In this FA1 shows the drug release 97.79% in 14 hours and FA2, FA3 shows 99.51%, 95.82% in 16 hours respectively. Another three formulations FB1, FB2, FB3 were formulated by using drug with Carbopol 934p and HPMC K4M. In this FB1 and FB2 shows the drug release 100.02% and 94.62% in 16 hours and, FB3 shows 99.65% in 18 hours. Last three formulations FC1, FC2, FC3 were formulated by using drug with Carbopol 934p and HPMC K100M. In this FC1 shows the drug release 98.48% within 22 hours and FC2, FC3 shows 99.51%, 94.11% in 24 hours respectively. From this release study FC2 release the drug at predetermined and reproducible manner for 24 hours comparing to all other formulations and shows as best formulation. From the above data we can conclude that drug combination with Carbopol 934p and HPMC K15M release the drug quickly comparing to other formulation and Carbopol 934p and HPMC K4M shows moderate release and Carbopol 934p and HPMC K100 combination is the best formulation. The mucoadhesive strength was found to be 95.04 gm, and from that concluded that the optimised formulation having enough mucoadhesive strength. The assay value for the selected formulation was found to be 99.01%, so it has within the limit of NLT 95% to NMT 102% as per IP. The results obtained for the selected formulation FC2 after the stability one month was listed in table 5. The tablets does not showing any significant differences in physical appearance, friability, hardness, dissolution characteristics and assay. So the selected formulation is stable under the prescribed condition for one month. Kinetics of Drug Release: The data obtained from in-vitro dissolution studies were fitted to zero order, first order, Higuchi, and Hoffenberg equations to confirm the order of the release. The data obtained from the calculations are shown in the table 6. From this data the drug release followed zero order release kinetics and it follows the diffusion mechanism for drug release. The FC2 formulation follows Zero order drug release (0.996) as well as diffusion (Higuchi) mechanism to release the drug from the formulation (0.946). CONCLUSION: From the obtained results it can be concluded that all the formulations satisfy the official limits for preformulation study, hardness, thickness, friability and weight variation. Formulation FC2 (Carbopol 934p&HPMC K100M) satisfies the in-vitro drug release up to 24 assay value also satisfies the IP limit and considered as the best formulation comparing to all other formulations. Mucoadhesive strength was studied for the selected formulation and it shows high mucoadhesive strength and Stability study was passed as per specification. The selected formulation follows the zero order release and exhibited diffusion dominated drug release. Further in-vivo and continuation of stability study are recommended. ACKNOWLEDGEMENT: We the authors are very much thankful to Dr. JKK Munirajah, M. Tech (Bolton), D. Litt, Managing Director, JKKM Group of Institutions for his support and encouragement. Authors are also thankful to M/S Elegant drugs private Ltd., Hubli for providing all facilities to complete the research work. Ponchel G and Irache JM: Specific and non specific bio adhesive particulate system for oral delivery to the GI tract. Advances in drug delivery 1998; Rev.34:191-219. AkiyamaY, Nagahara N, Nara E, Yamamoto I, Azuma J, and Ogawa Y: Evaluation of Mucoadheesive microspheres in man on the basis the pharmacokinetics of furosemide and riboflavin, compounds with limited gastrointestinal absorption sites J.Pharm. Pharmacol 1998; 50: 159-166. Chen J, Blevins WE, Park H and Park K: Gastric retention properties of superporous hydrogen composites. J.Controlled Release: 2000; 64: 159-166. Vyas SP and RP Khar: Controlled drug delivery systems, Concepts and advances, first edition 2002; 257-295. Shin SC and Cho SJ: Drug Dev. Ind. Pharm 1996; 22:299-305.
Cooper J and Gunn C: Tutorial Pharmacy, Powder flow and compaction, New Delhi, India: CBS Publishers and Distributors; 1986:211-233. D, Shah Y,Rampradhan M, Development and evaluation of controlled release diltiazem hydrochloride Micro particles using cross-linked poly(vinyl alcohol). Drug Dev Ind Pharm. 1997; 23(6):567-574. Aulton ME, Wells TI Pharmaceutics. The science of Dosage form Design. London, England: Churchil Livingstone; 1988. Pharmacopoeia of India. 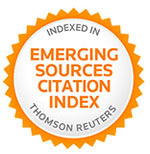 New Delhi: Ministry of Health and Family Welfare, Government of India, Controller of Publications 2007: Vol 1; 182-183., Vol 2; 889. Senapathi MK, Srinatha A, Pandit JK, Invitro Release Characteristics of Matrix Tablets: Study of Karaya gum and Guar gum as the release Modulators. 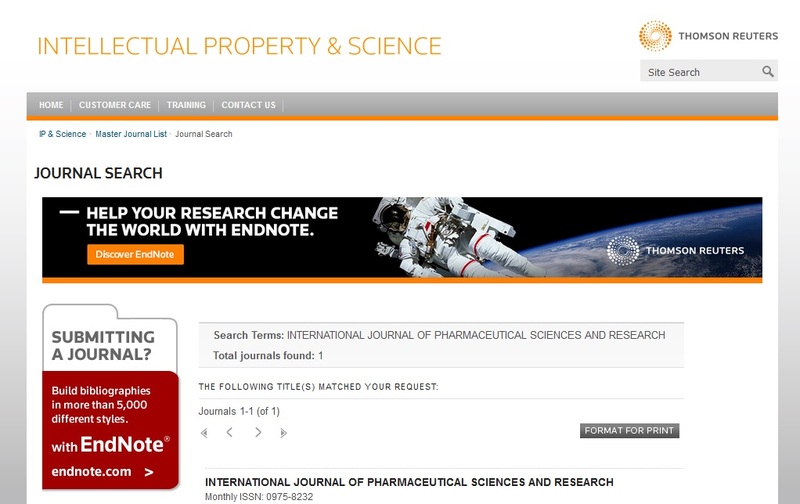 International Journal of Pharmaceutical Sciences 2006; 68: 824-826. Madhusudan Rao Y, Vani G and Balaramesh achary R: Design and evaluation of mucoadhesie drug delivery systems, Indian drugs 1999; 35:558-565. Higuchi T: Mechanism of sustained action medication. Theoretical analysis of rate release of solid drugs dispersed in solid matrices. J Pharm Sci.1963; 52:1145-1149.